Who’s up for some Easter treats? 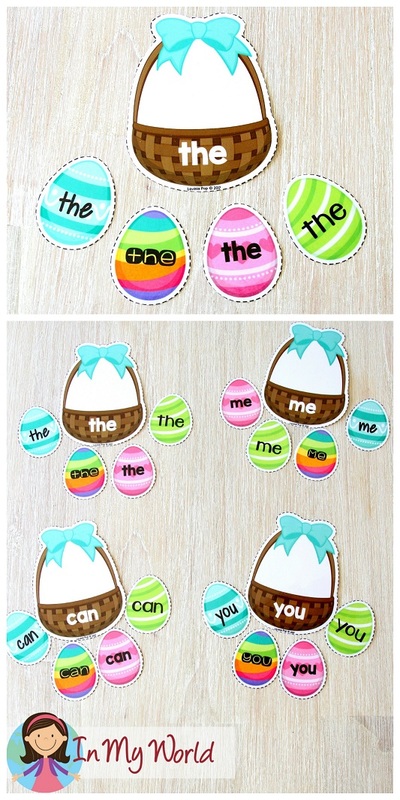 My Easter Preschool Centers is all about chocolate eggs, jellybeans and peeps! Check it out below! 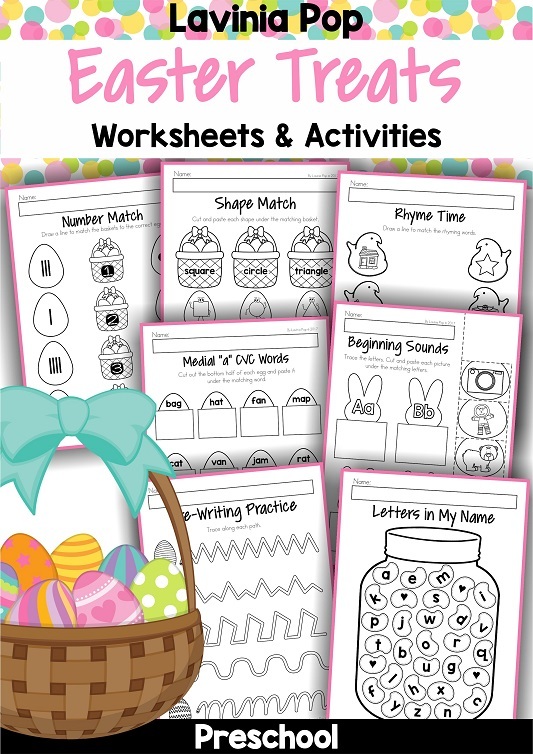 PLEASE NOTE: This blog post contains sample pages from my Easter Preschool Centers. You can download the free sample pages by clicking on the photos. 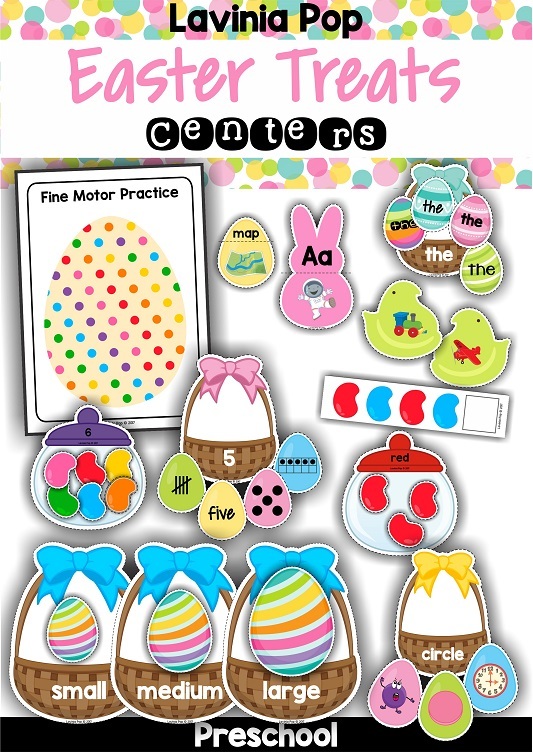 To purchase the complete Easter Preschool Centers packet, please click here! To prepare the mat for use, print and then laminate it for durability. You will need to supply children with pom-poms, gems, beads, beans, sequins or any other small objects that will fit inside the circles. 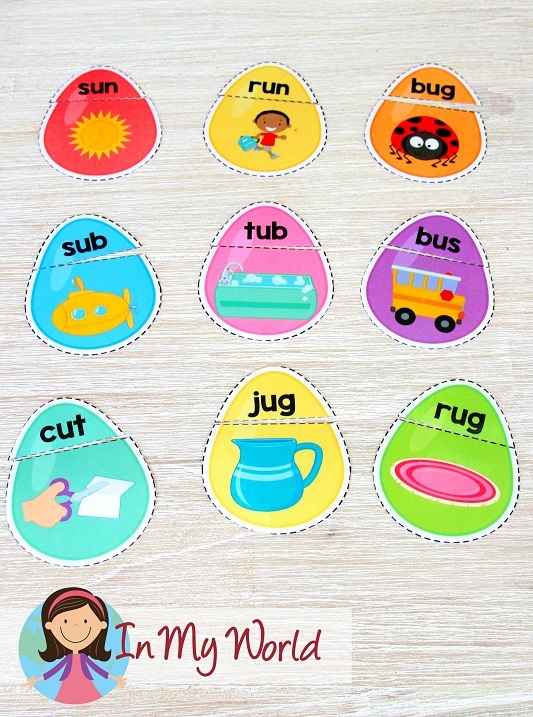 The aim of this activity is for children to place a small object in each of the circles. To prepare the activity for use, print and then laminate the pages for durability. Cut out all the pieces. The aim of this activity is for children to match the pictures to the correct CVC word. To prepare the activity for use, print and then laminate the pages for durability. Cut out all the pieces. 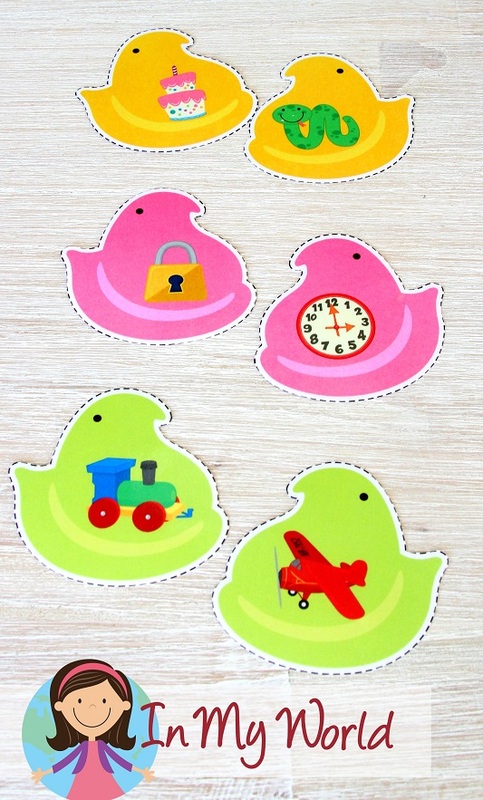 The aim of this activity is for children to match the peeps with the rhyming pictures. 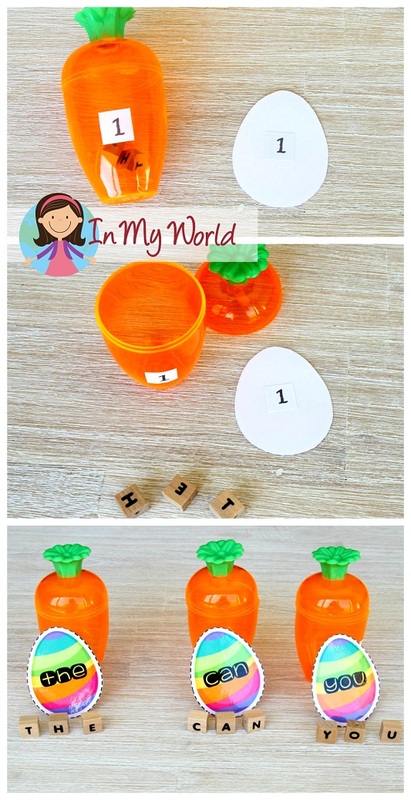 Alternatively, if you have small plastic eggs or carrot containers, you can number the sight word eggs on the back and the containers, place small letter tiles inside the container and then get your kiddos to arrange the letters to build a sight word. They check their answer by flipping over the egg to see whether they were correct. 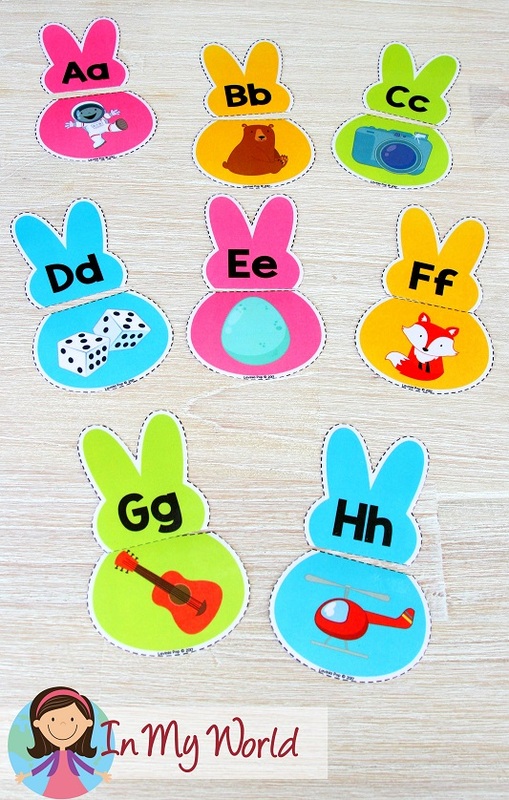 To prepare the activity for use, print all the pages, laminate them for durability and then cut out all the pieces. 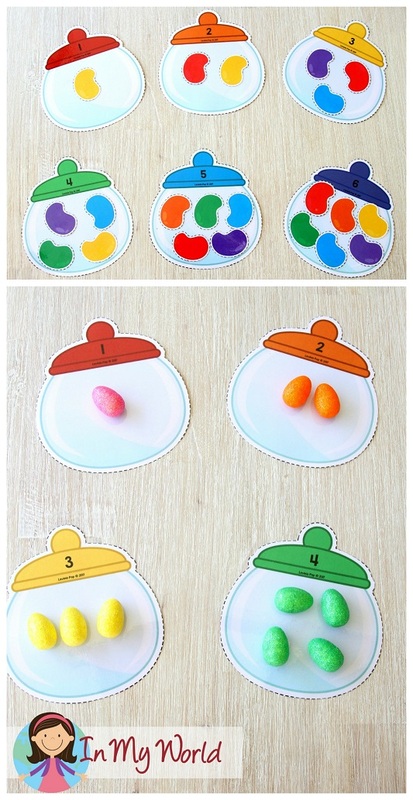 The aim of this activity is for children to sort the differently colored jellybeans to the correct jar. To prepare the cards for use, print, laminate them for durability and then cut them apart. 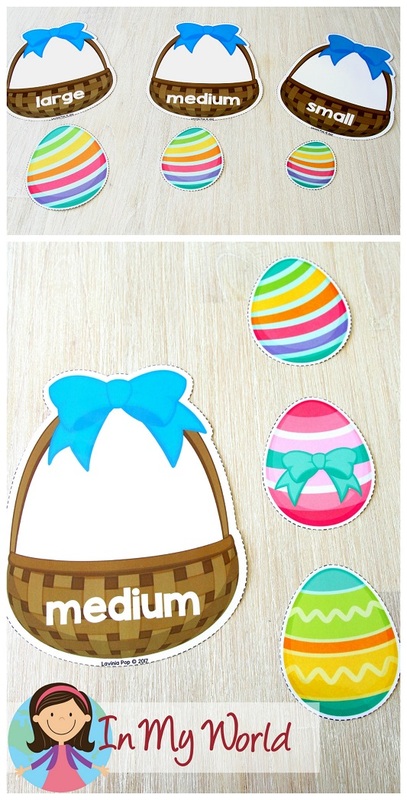 The aim of this activity is for children to sort the differently sized Easter egg to the correct basket. To prepare the cards for use, print, laminate them for durability and then cut them apart. The aim of this activity is for children to sort the different number representations to the correct basket. To prepare the cards for use, print, laminate them for durability and then cut them apart. 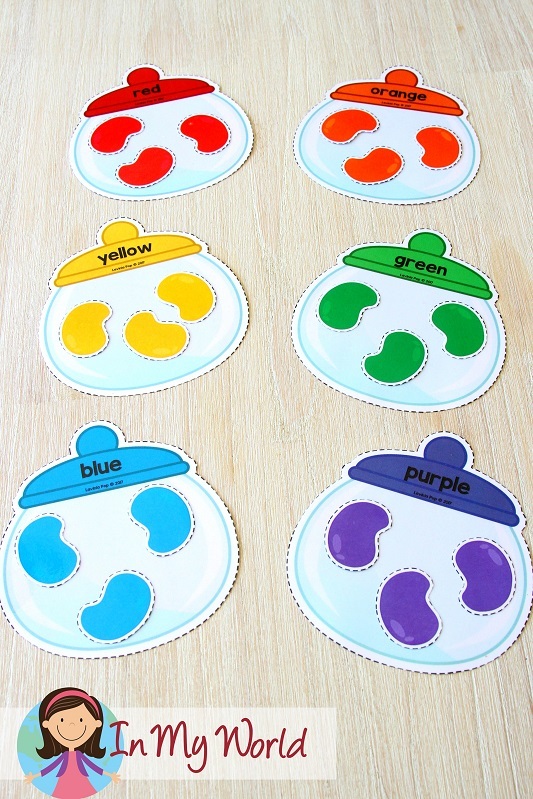 The aim of this activity is for children to match the 2D shaped coins to the correct pot. To prepare the activity for use, print all the pages, laminate them for durability and then cut out all the pieces. The aim of this activity is for children to count out the number of jellybeans shown on each jar. To prepare the cards for use, print, laminate them for durability and then cut them apart. 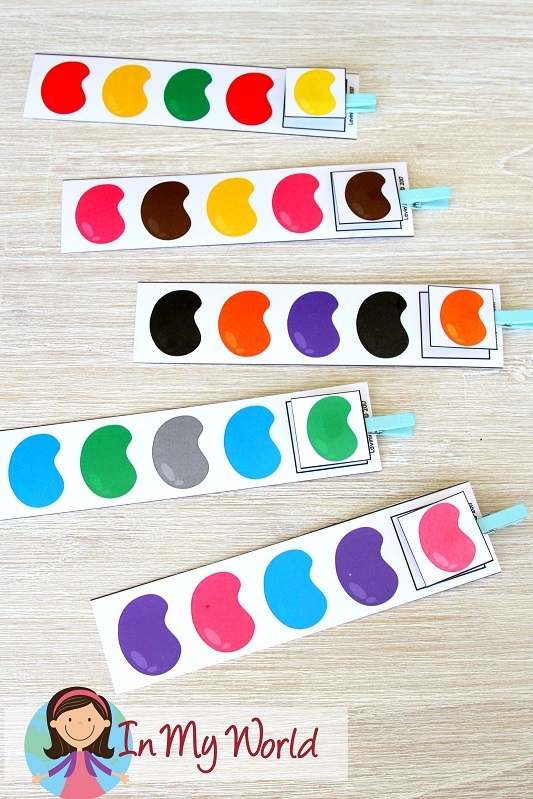 Attach the pictures cut out from the bottom of the page to the end of a clothes peg using a hot glue gun. The aim of this activity is for children to identify the pattern on the cards and to clip the correct picture in the empty box to complete the pattern. 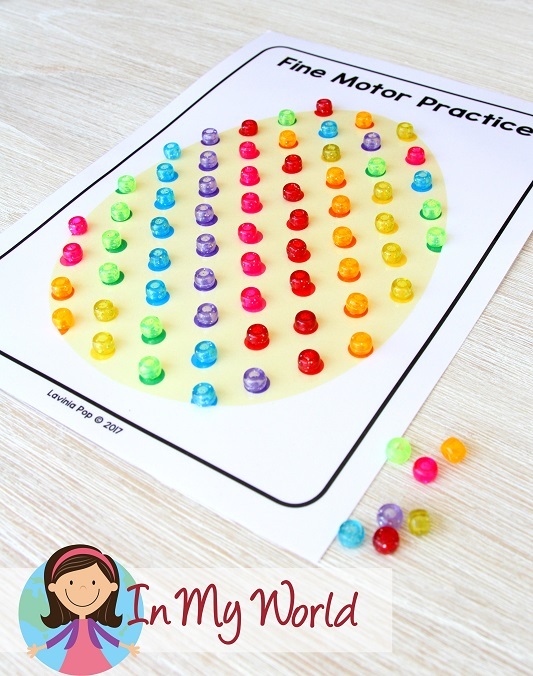 If this packet looks like it requires a bit too much prep time, be sure to check out the Easter Treats worksheets packet here! This is beautiful and so useful!!!! Where do I purchase your centers?